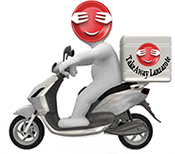 The 3 Best Indian Restaurants Puerto del Carmen Lanzarote - The 3 Best Indian Delivery Restaurants Puerto del Carmen Lanzarote - The 3 Best Indian Restaurants with Delivery Puerto del Carmen - The 3 Best Indian Restaurants Takeaway Puerto del Carmen - The 3 Best Indian Food Delivery Restaurants Lanzarote Puerto del Carmen. Best Indian Restaurants Lanzarote | Best Indian Restaurants Playa Blanca :Takeaway Playa Blanca | Best Indian Restaurants Puerto del Carmen Takeaway Puerto del Carmen| Best Indian Restaurants Costa Teguise : Indian Palace | Best Indian Restaurants Playa Honda : Jumbo | Best Indian Restaurants Arrecife : Honk Kong | Best Indian Restaurants Puerto Calero : Peking Duck | Best Indian Restaurants Yaiza| Best Indian Restaurants Tias | Indian Restaurants San Bartolome | Best Indian Restaurants Haria | Best Indian Restaurants Arrieta | Best Indian Restaurants Playa Honda | Best Indian Restaurants Tinajo . Biryani Dishes There are 8 products to choose from. Takeaway Lanzarote - Restaurants Puerto del Carmen Chicken, chicken tikka, lamb tikka, lamb, king prawns and spices.